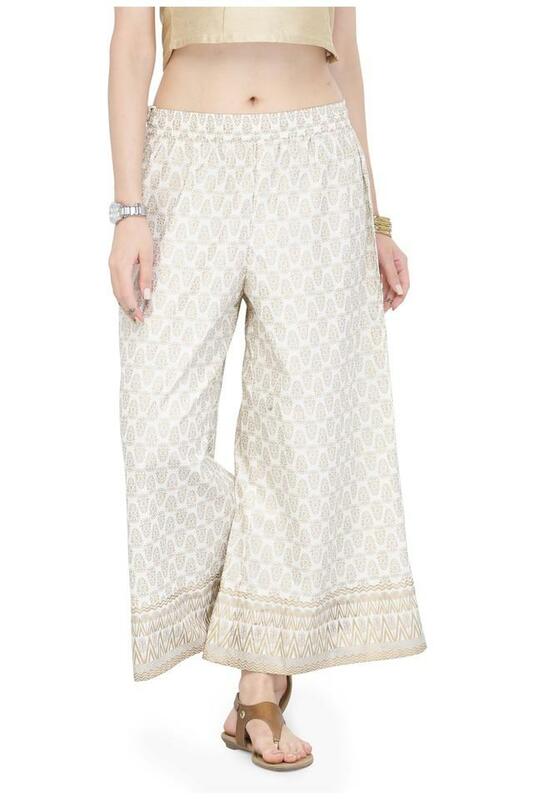 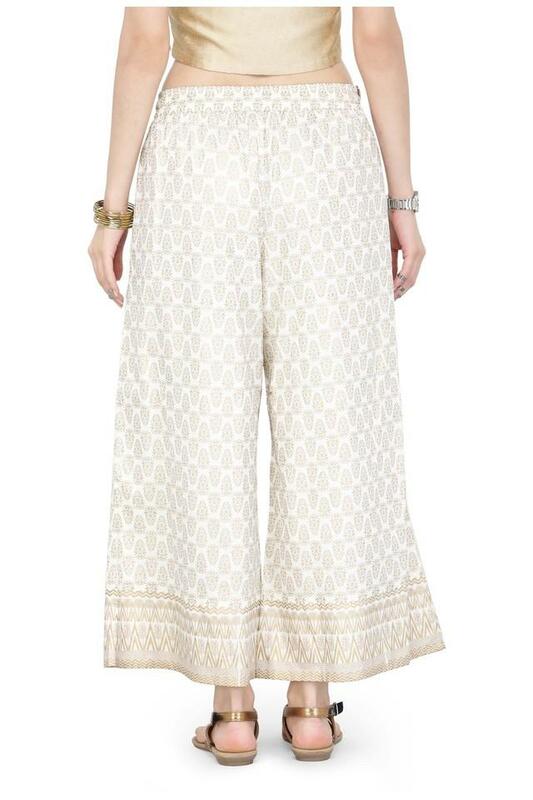 Refresh your casual collection with some contemporary appeal with this pair of palazzos from Varanga. It features a printed pattern along with regular fit that adds to its look. 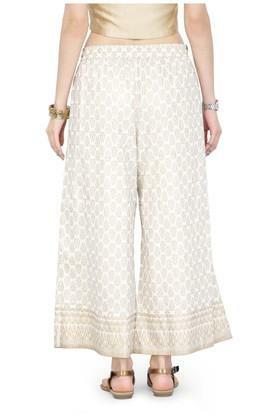 On the other hand, it has been tailored with a viscose fabric, which will keep you at ease throughout the day.